This year we have really enjoyed being a Peppa Pig Holiday Blogger. Both my children love Peppa and she plays a large part in our lives, as I’m sure she does in many other families. A few weeks ago we received our final Peppa Pig parcel of goodies and it was packed with lovely toys and products to see us through the holidays. The parcel contained lots of items which were perfect for my daughter who was really looking forward to swimming in Grandad’s pool this summer. The last time we put her in a pool 12 months ago just wasn’t successful so every week we’ve sat and watched her older brother during his weekly lessons. 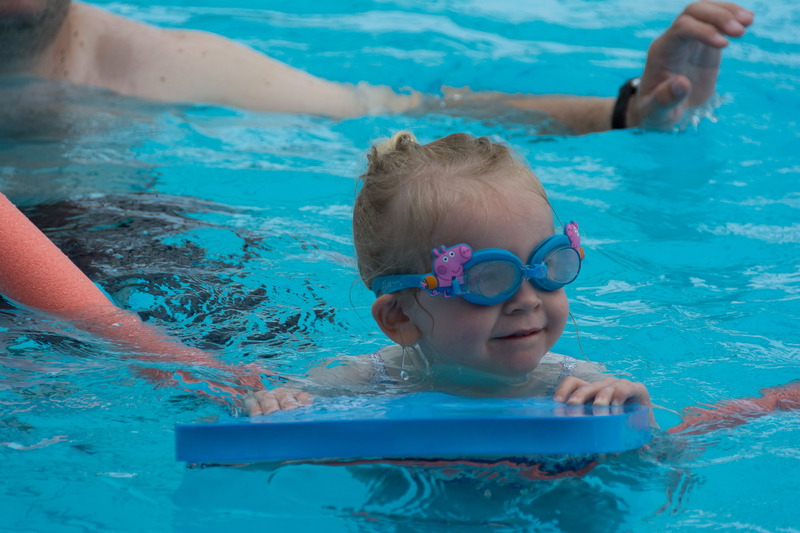 She has recently started asking for her own lessons so we thought we would let her splash around at Grandad’s pool and see what happened. We bought her a new swimming costume and I showed her the lovely Peppa items we were sent. These included a Peppa Pig towel, George goggles from Zoggs as well as Peppa Pig and George soakers and squirt, both from Zoggs. I’m pleased to say she had a wonderful time in the pool and went in 5 days in a row. She was pretty fearless, jumping in from the side and being towed up and down whilst kicking her legs. 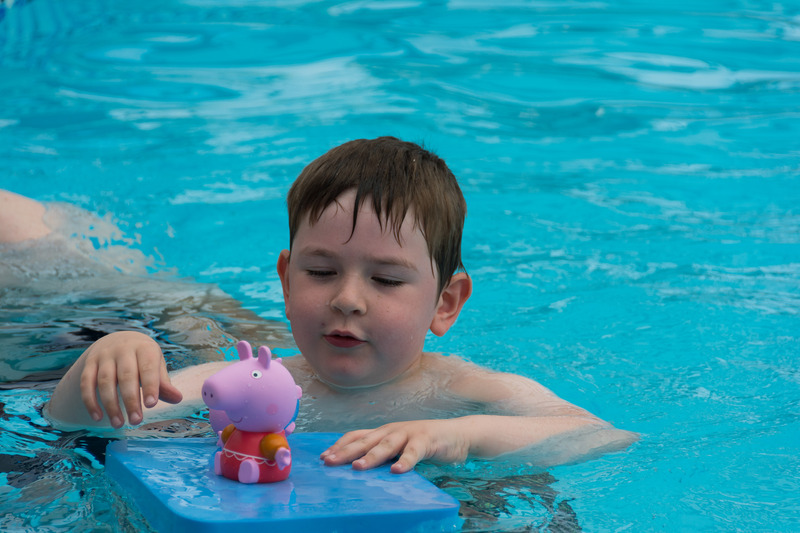 The Peppa and George toys were really fun to play with and swimming with Peppa and George gave her some extra confidence. They were all good quality and will probably be used in the bath as well as hopefully swimming lessons at home soon. Being a Peppa Pip Holiday Blogger sounds like a lot of fun. 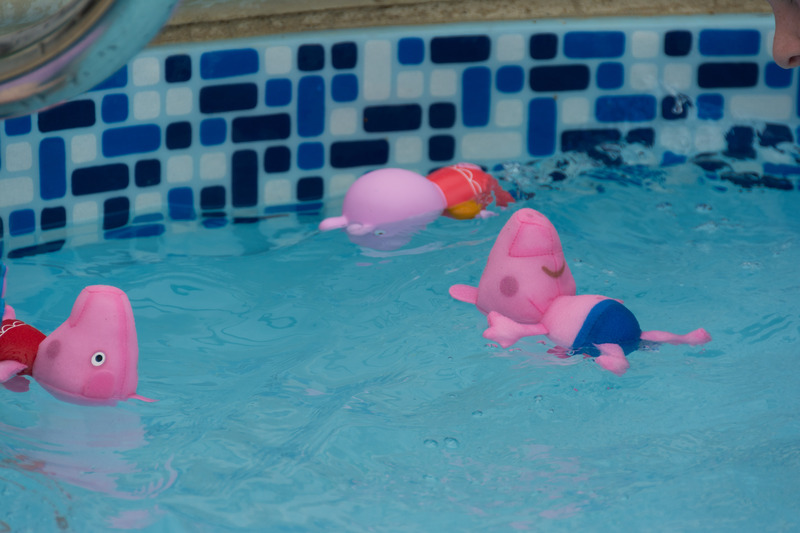 It’s great to see that not only did are the toys fun to play with but they played a part in giving your daughter a little extra confidence to swim in the pool. I know my little nephew is mad on Peppa and George so I can imagine it was mega fun for the kids.